This application is a tip calculator. It is designed to enable the user to specify a bill amount, a tip percentage and the number of people to split the bill by. 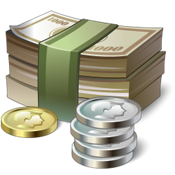 If desired the user can enable geo location to obtain optional information about the customary tip percentage for the country you are in and uses this information to set currency settings. It also provides an after dinner joke to the user with each calculation.